III Year Civil Engineering students visited construction site of Shivji statue at Nathdwara by Miraj Group. Statue is 351 feet high made of Self Compacting Concrete. Students saw the construction of actual statue and also the supporting structures of the project. 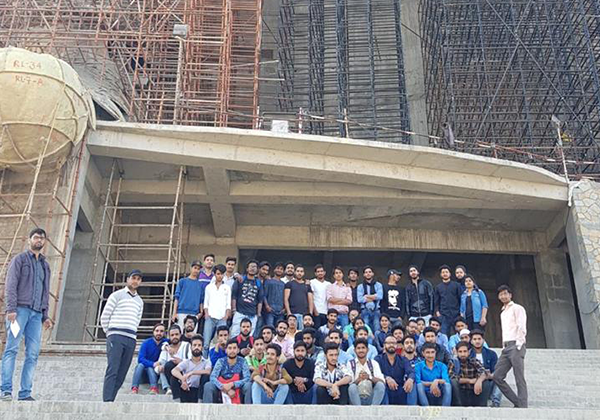 Pacific engineering students were fortunate enough to meet the structural designer of statue, a very well known Prof. Abhay Gupta who shared the in depth information about the structure of statue.